for $219,000 with 3 bedrooms and 2 full baths. This 1,545 square foot home was built in 2003 on a lot size of 2.06 Acre(s). 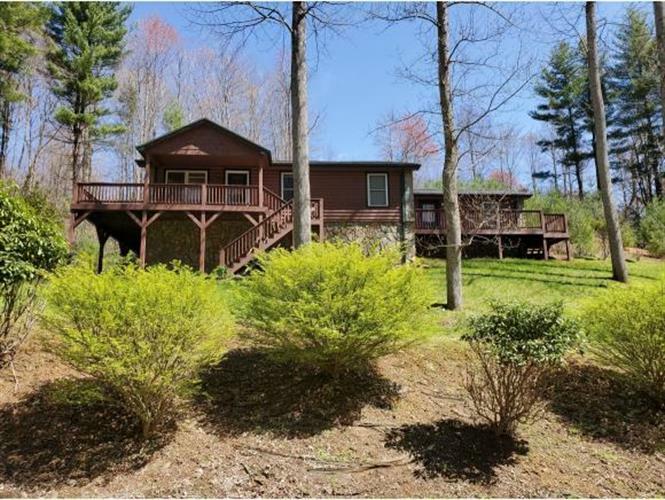 Beautiful, move in ready cabin featuring hardwood floors, tongue and groove, vaulted ceilings and solid wood doors, located minutes from Mountain City and Boone, NC. This 3 bedroom and 2 bath home is just waiting for you. The owners have recently upgraded the kitchen with granite counters and a new Frigidaire appliance package that includes refrigerator, range and dishwasher. All the lighting has been upgraded to LED, which makes the home much brighter. There is fresh paint through much of the house. The master suite is very spacious and walks out onto a large deck, perfect for relaxing with your morning coffee. There is also a large basement with drive under parking and plenty of room that may be finished or used as a workshop. Don't wait too long on this one! It won't last long! Call for a private showing today!